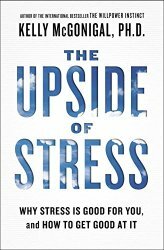 Another book that touches on post-traumatic growth is The Upside of Stress: Why Stress is Good for You, and How to Get Good at It by Kelly McGonigal, Ph. D. We’ve all heard how much of a toll stress takes. We’re supposed to avoid it as much as possible. If we can’t, and who can, we need to have an arsenal of methods to cope with it. But there is more to the story. 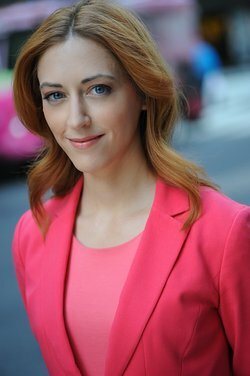 McGonigal offers some studies on how a simple change of mindset can influence the outcome of a stressful situation. The first step is to acknowledge the stress when you experience it. Allow yourself to notice how it affects you, particularly your body. The second step is to welcome stress because it is a response to something you care about. Think about what is at stake and why it matters to you? The third step is to make use of the energy that stress gives you instead of wasting that energy trying to manage your stress. What can you do that reflects your goals and values? People who learn to do this report less anxiety and depression and better physical health. They feel more focused, creative, and engaged. McGonigal also describes two stress reactions beside the fight-or-flight we’re familiar with. She calls one response tend-and-befriend. Earlier studies that focused on fight-or-flight were done mostly on men. Women, however, tend to have the tend-and-befriend response more often. This motivates you to protect the people and communities you care about. It seems not only adrenaline but also oxytocin is released during stress. This has been called the “cuddle hormone.” It helps build social connections and also builds courage. A third reaction is growth. During the recovery period from stress, hormones also increase activity in the brain that supports learning and memory. In other words, past stress teaches the body how to handle future stress. One major takeaway from McGonigal’s book is that the worst response to stress is to isolate yourself and think nobody else has experienced what you are facing. Helping others is a highly effective way to handle stress. Having a bigger-than-self goal is important. What do you want to contribute to your community? Do you have a goal that is bigger than yourself? Do you have a strong social support network? Kelly McGonigal, PhD, is a health psychologist and lecturer at Stanford University, and a leading expert on the mind-body relationship. She teaches for the School of Medicine’s Health Improvement Program and is a senior teacher/consultant for the Stanford Center for Compassion and Altruism Research and Education. Her work demonstrates the applications of psychological science to personal health and happiness, as well as organizational success and social change.